Steak House Satou In Kichijoji: A Must-Go Address For Those Seeking The Best Quality Japanese Wagyu! Steak House Satou is in Kichijoji, a town at a 15-minute train ride from the JR Shinjuku Station. It is a nice place to visit for its beautiful park, lively city center and many shops and restaurants. 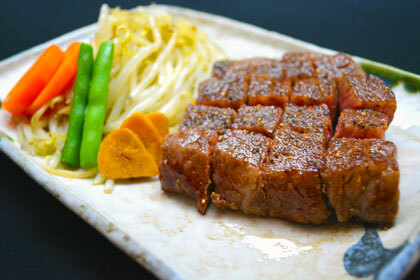 One place you should definitely try if you are particular about good beef is Steak House Satou. There, you can eat great quality wagyu (Japanese beef) at unbeatable prices! Here is more on this famous steakhouse. Satou has a total of four branches in Tokyo, two of which are located literally one over the other in Kichijoji. The branch on the first floor serves as a butcher shop while the second floor is the Steak House Satou restaurant. 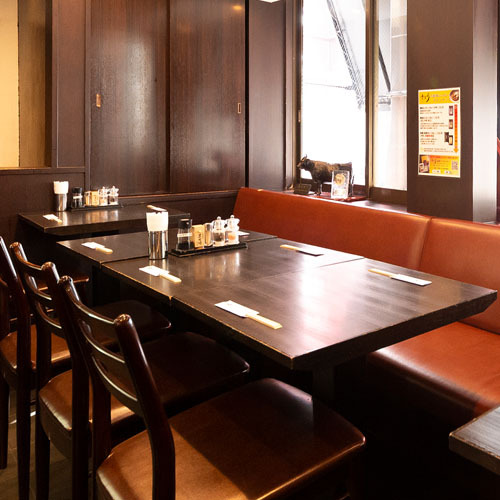 The twin branches are located a 1-minute walk from the North Exit of the Kichijoji Station. Going there, you should immediately notice a long queue in front of the butcher store. The superior quality meat is sold at a surprisingly affordable price. 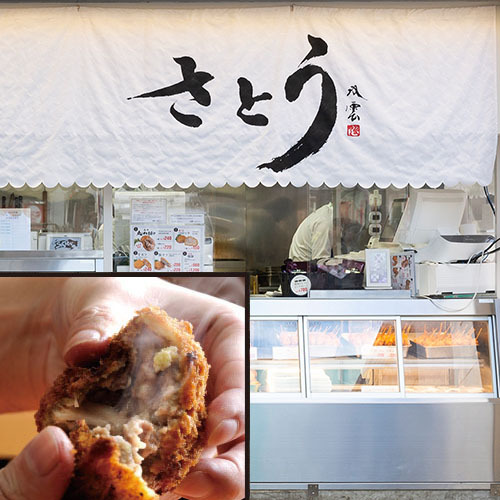 Furthermore, they have a menchi katsu (fried cake of minced meat) that is extremely popular. It has become the emblematic food of the store. If you are willing to wait in line, you can get yours for 240 yen. How juicy and delicious does it look to you? If you like this kind of food you might want to check out other stores selling kurokke around Tokyo. See the link below. Satou offers some of the finest wagyu. Wagyu is known for its tender meat quality and for having a high-fat content with a particular sweetness to it. Wagyu is synonymous with quality but also a high price. At Steak House Satou however, you can get great dishes of wagyu at a price that is well below what is normally asked for a comparable dish. It makes no wonder that people are willing to make long queues to get into the place! You'd better arrive a bit earlier than the peak lunch and dinner hours if you want to avoid long waiting times. If you go to Satou, you should probably try the chef's special selection set if you are willing to pay 4,000 yen for it. You will get rice, miso soup, pickled vegetables and a salad accompanied with one of the finest pieces of meat (120g) of the day. You can see the chef grilling the meat on a large iron plate in front of the counter section. There is a much more affordable alternative of wagyu leg meat at 1,600 yen. You get the same kind of accompaniments as the 4,000 yen one with this set. If you are looking for the best quality available, there are some 7,000 yen and 10,000 options in which you get a special selection of wagyu from some of the most renowned regions of Japan. 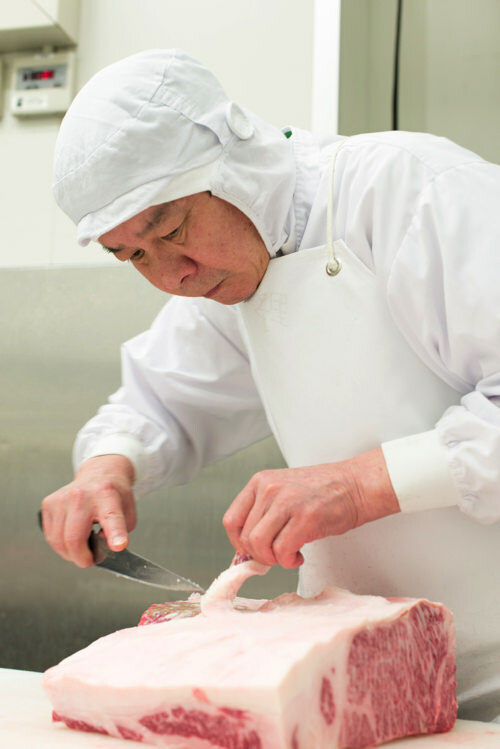 The chef will even show you what the piece of meat looks like before it is cooked. You can choose red meat or more fatty ones. 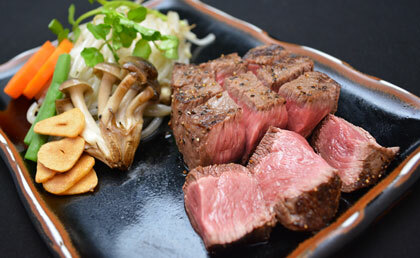 As an accompaniment to your delicious grilled steak, you can order a glass of wine for 700 yen or beer for 600 yen. You should most definitely visit this place to get an experience of what true delicious Japanese beef tastes like!